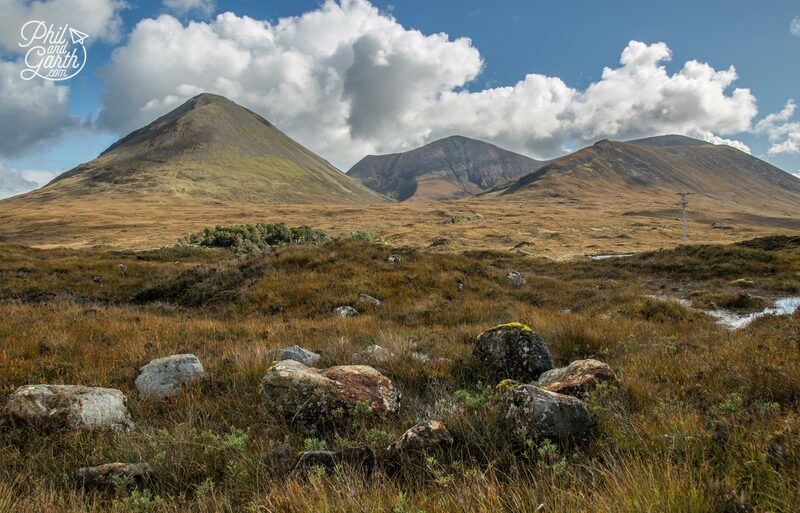 As part of our tour around the Scottish Highlands we spent a little longer on the beautiful Isle of Skye, the largest of the Inner Hebrides. 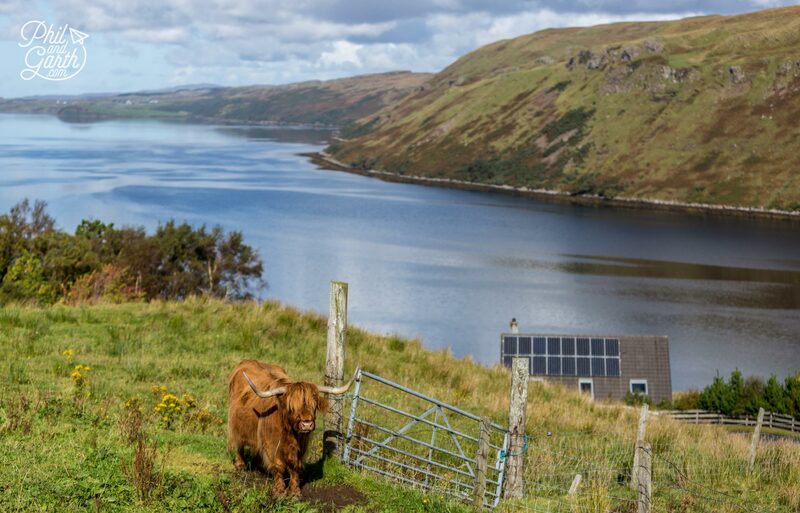 We decided on a couple of nights because Skye is easily one of Scotland’s top places to visit. 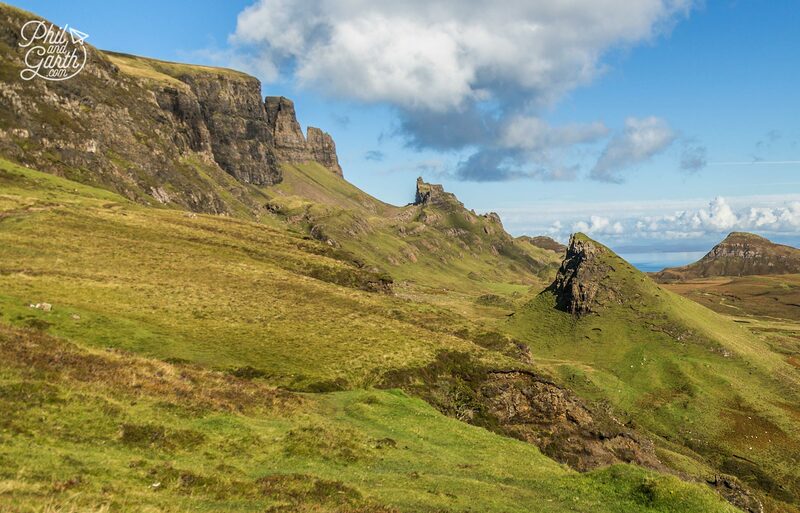 Famous for its spectacular mountain landscapes and scenery, it really is a magical place and means ‘Cloud island’ in Old Norse – the Vikings ruled Skye from 700AD to 1263. 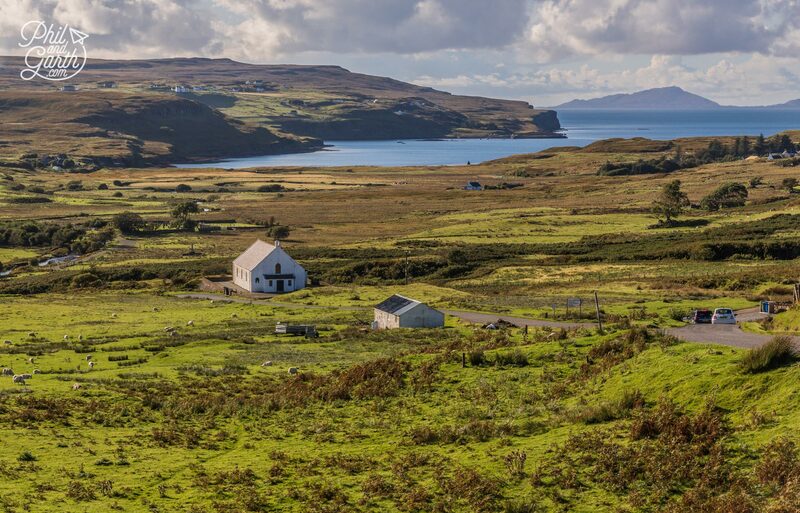 Getting to the Isle of Skye is easy as it’s linked to the mainland by a free road bridge, just remember it’s actually quite big for a Scottish island – 50 miles long so you need to consider that for planning and getting around. 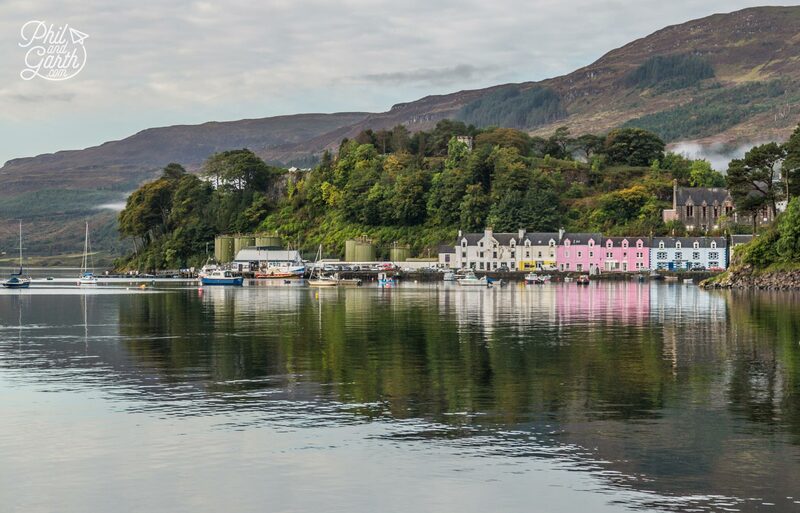 Portree was our base for 2 nights, it’s the island’s small capital and means ‘Kings Port’. 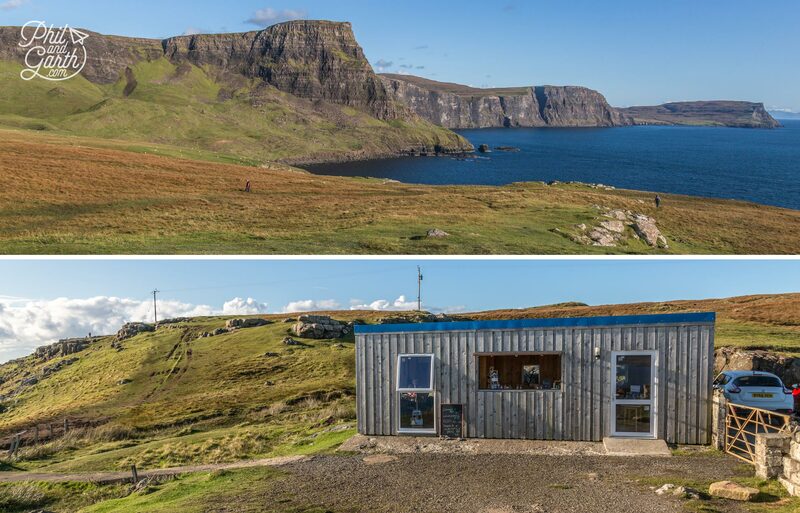 It’s a popular base for visitors to Skye, so there’s lots of B&Bs and a couple of restaurants and has the freshest fish ‘n’ chips shop (The Indian is really good). There’s also a handy petrol station and a Co-op supermarket if you want to stock up with a picnic to take with you. If you want a boat cruise then there are some that leave from Portree. 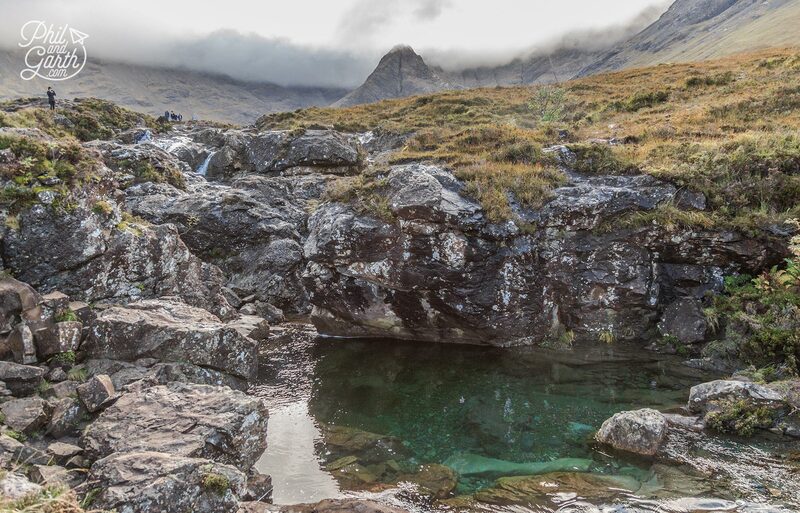 The Fairy Pools are a beautiful collection of rock pools fed by numerous small waterfalls they are filled with crystal clear spring water from the Cuillin Mountains, on sunny days the water looks even more turquoise. It’s really popular with hikers and tourists and even wild swimmers, so don’t expect to have the place all to yourself. It’s an easy and pleasant walk as you’ll find yourself constantly stopping to look at things. The mountain backdrop makes the little waterfalls incredibly picturesque. We woke up early to get there for 8.30am before the crowds, it takes 30 minutes to reach the Fairy Pools from Portree, we were glad we left early as the car park here is really small and was full on arrival, we luckily grabbed the last space. From the car park the walk to the first waterfall is about 20 minutes. The biggest issue we had at the rock pools were all the midges, we hadn’t experienced them on the mainland and deliberately came in September to avoid them, but here they were biting our heads constantly! 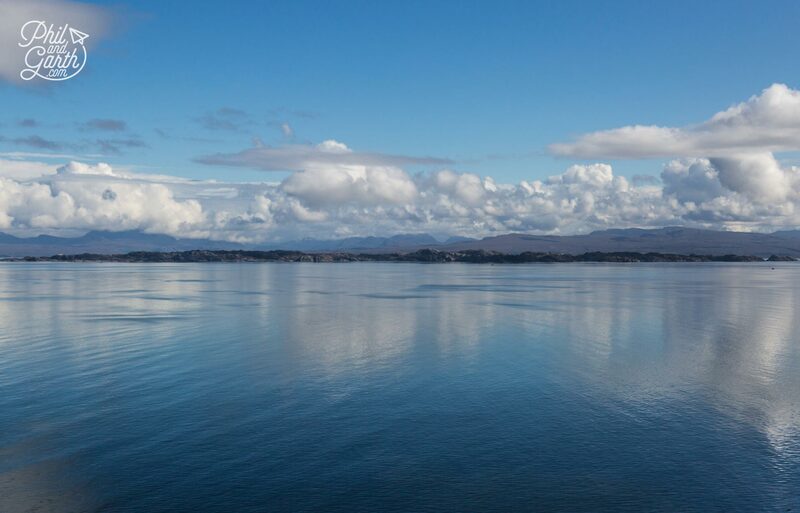 If you’re into photography then take a polarising filter to get rid of the cloud reflections on the water and make those instagram worthy shots, we forgot ours! 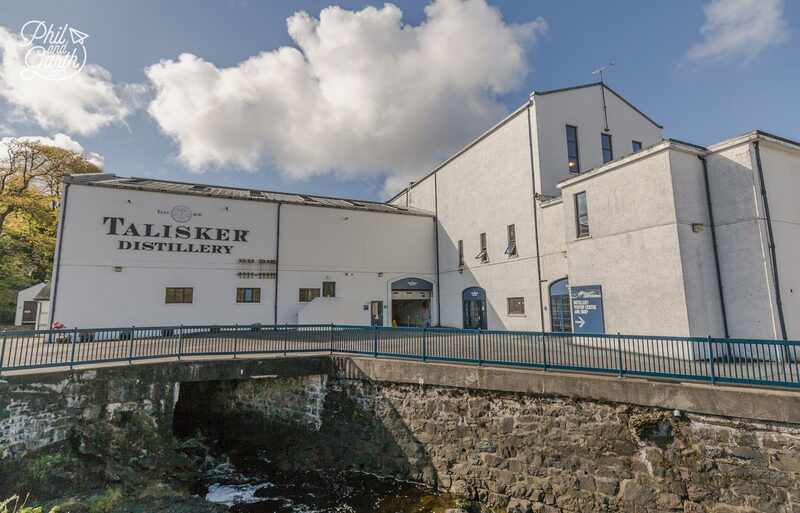 We’d visited a few whisky distilleries on our tour of the Highlands so we thought let’s have a look at Skye’s Talisker Distillery, it’s located in a beautiful spot right on Loch Harport and dates back to 1830. We bought another bottle for our collection, this time a really smokey single malt called Talisker Storm and turned out be our favourite. We skipped the tour as we’d done quite a few on the mainland, if you want to do it you’ll need to book it a least a week before. Worth noting the Talisker beach 15 minutes from the distillery and is considered to be one of the best on Skye. 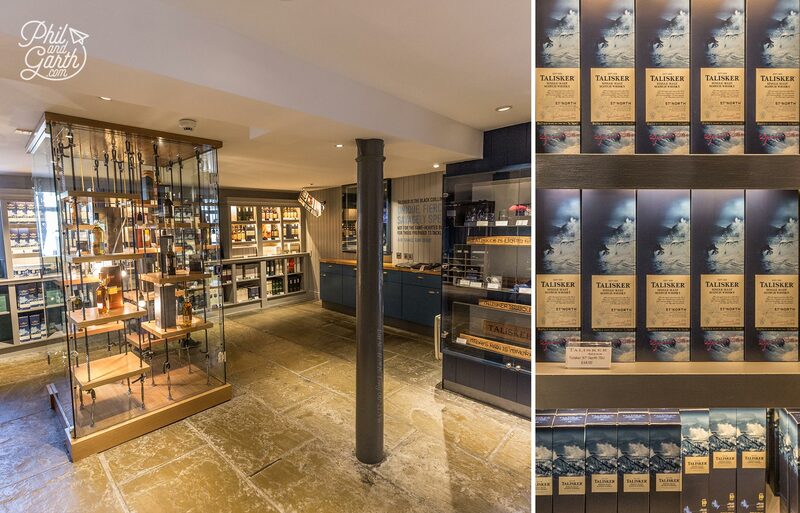 Whilst the Talisker Distillery is the most famous on the island there are 2 others – Torabhaig and Rassay, they will be much quieter if you want to get off the beaten path. This place is very easy to see as it’s off the main road and the viewing point just off the car park, so worth a quick stop. In the foreground you’ll see the Mealt Falls feeding the sea and in the background is the Kilt Rock, named because the basalt rock columns look like a pleated kilt. 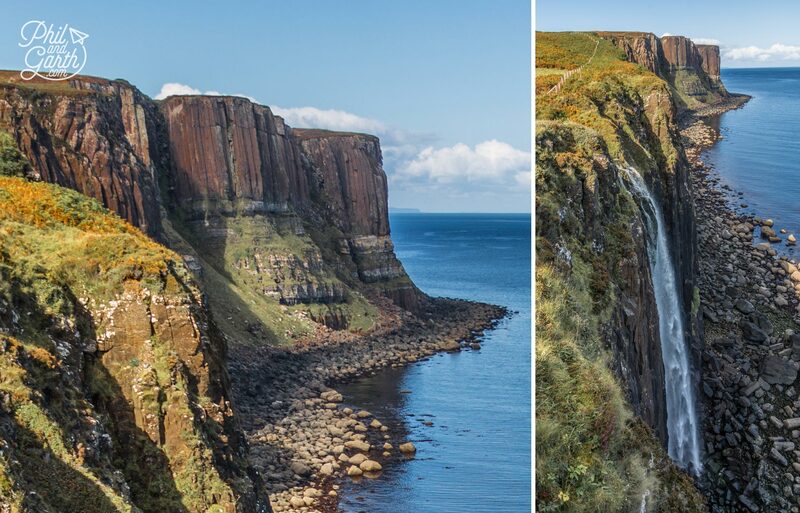 It’s similar in appearance to Scotland’s most famous basalt columns on the Isle of Staffa. 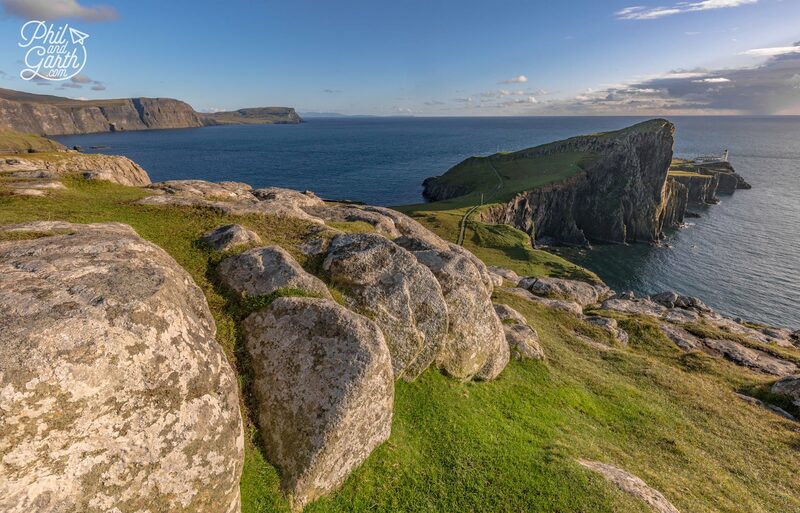 From this viewpoint take your binoculars and look for seabirds like Kittiwakes, Fulmars or Gannets. Now we’re talking, this place is epic! The craggy landscape is just magical looking and the scale of this place is immense! 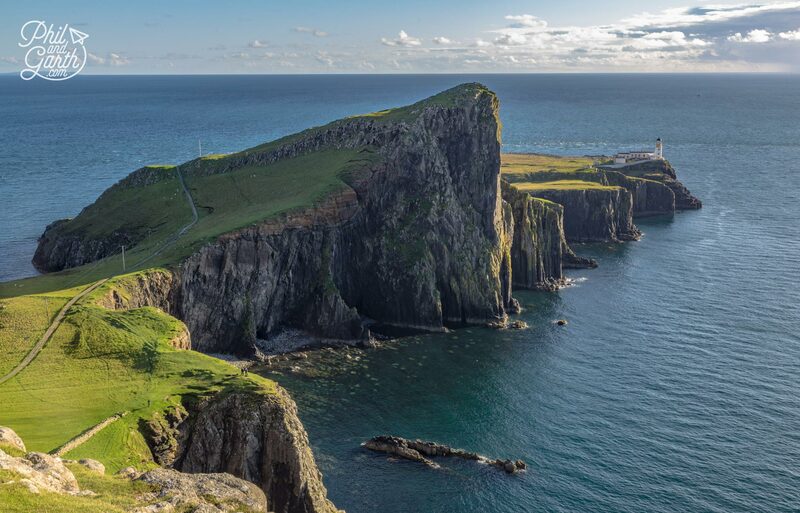 It was created by an ancient landslip, the biggest one to happen in Britain and its name comes from Old Norse, a Viking name for “Round Fold” – there’s a flat area hidden by rocky pillars. Garth was in his element with the photography opportunities here. 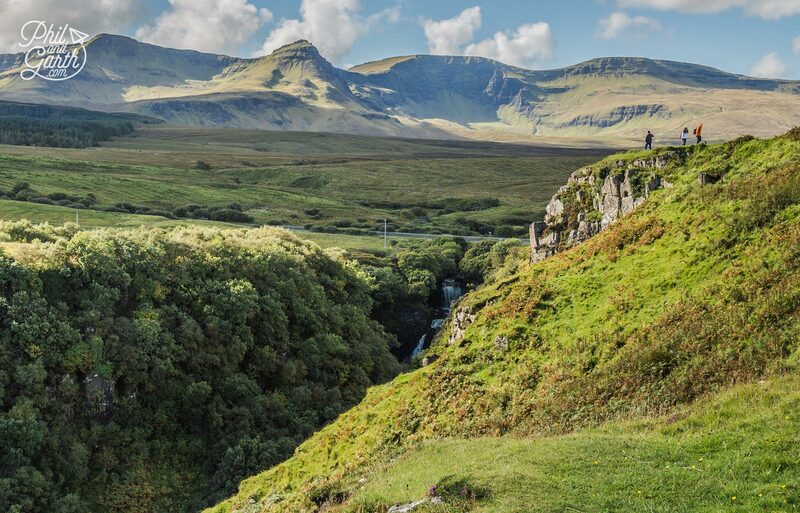 We took a short walk here, as we didn’t have time to do the full loop which is 4.5 miles and takes 2 hours, if you’re into hiking then the Quiraing will be a wonderland for you. It’s well worth the the drive up the single track road to the top for the epic panoramic vistas over the rocky pinnacles. However the car park isn’t big and was full so we had to drive a fair way down the road until we found a spot. Also worth taking in the views of this area from the bottom at Staffin are just as good. 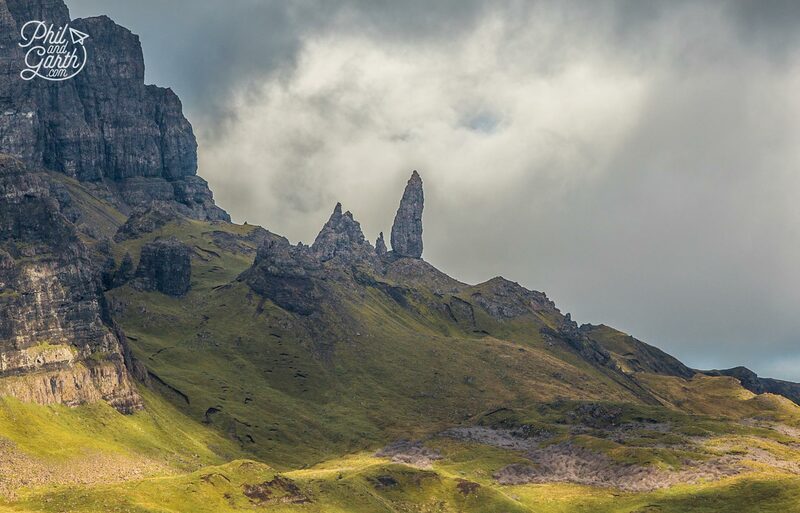 The Old Man of Storr is one of the Isle of Skye’s most iconic sights, and can be seen for miles (well on a clear day!) It would have been great to spend half a day hiking up to the top, but with only one day on the island we admired the views from Loch Leathan. The Old Man is the single tall rock standing 50 metres tall, the hike to see him is 2.5 miles and will take about an hour and a half from the car park. 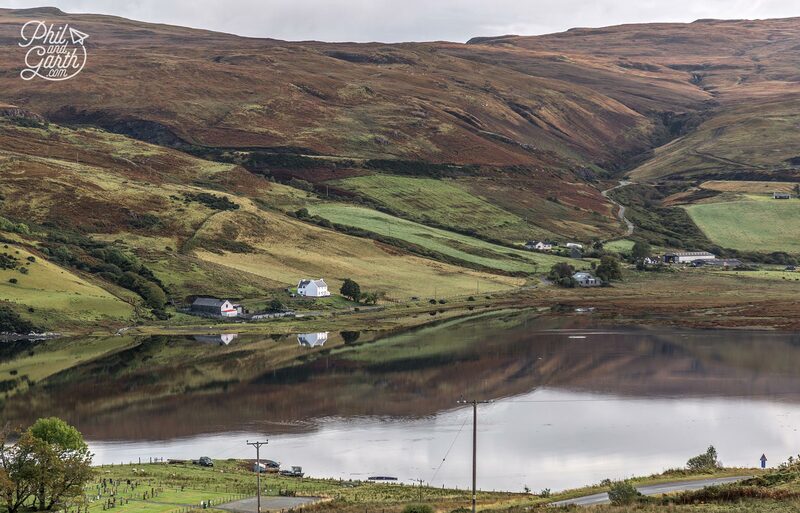 One of the best things about driving around Skye are the fantastic photo opportunities, just find a place to park safely and grab your camera or phone. At times some of the landscapes look a bit like South Iceland where tiny white washed homes stand against a mountain in the middle of nowhere. 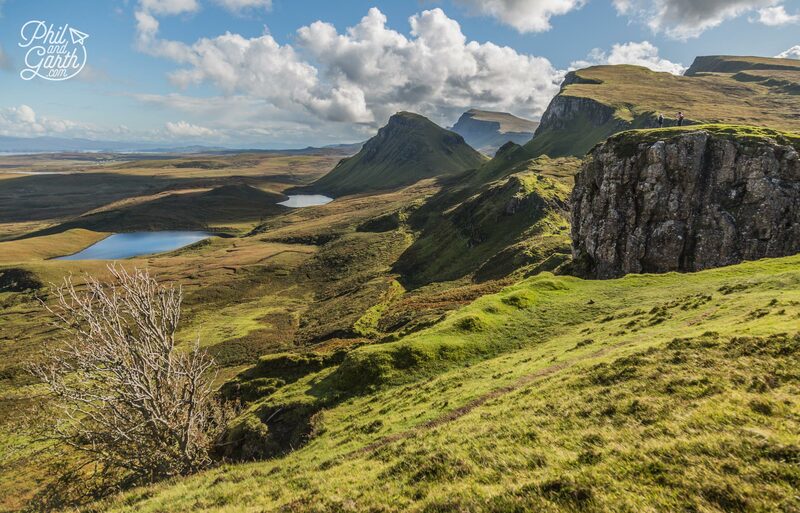 The Isle of Skye’s diverse landscapes have been used in lots of movies including The BFG, Prometheus, The Wicker Man and Transformers: The Last Knight to name a few. 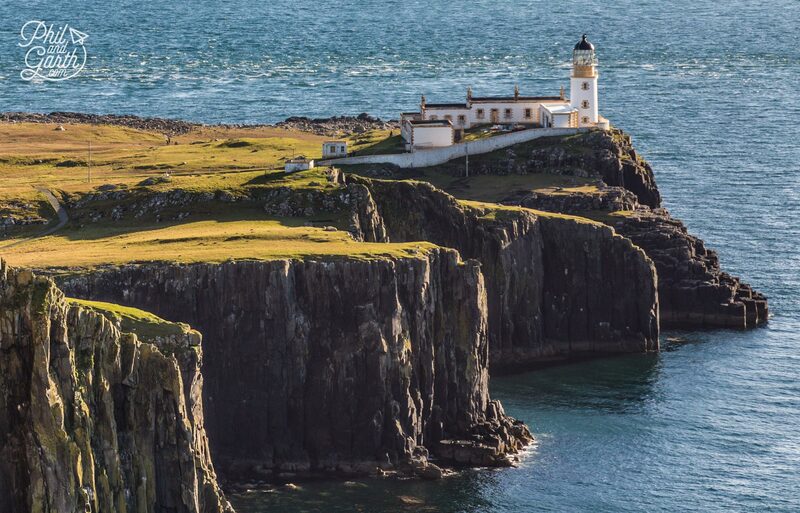 One of Scotland’s most famous lighthouses is at Neist Point on the Isle of Skye. The car park is at the end of a very long single track, we had to stop numerous times for sheep traffic-jams on the roads! Be careful around sheep on sides of roads too, just drive slow not to spook them. Because we were visiting towards the end of the day we had the place virtually to ourselves, the light was low and atmospheric, most people arriving were coming to watch the sunset. You can walk to the point via the steep steps which lead down from the car park to the lighthouse, which is not open to the public. 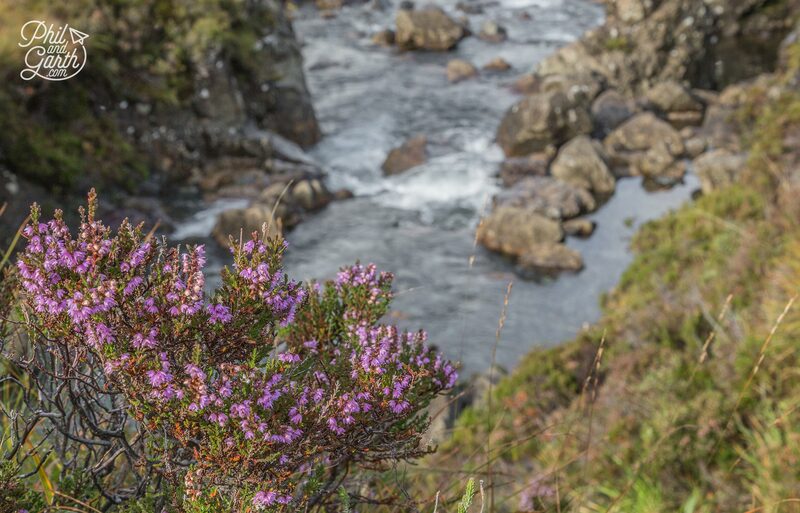 Take extra care near the cliff edges and don’t attempt it in windy conditions. We looked for dolphins and whales which are regularly spotted here but just saw the odd grey seal, listening to sound of the ocean here was lovely in this remote spot. This was easily our highlight of our trip to the Isle of Skye and the perfect way to end our day on on the island. 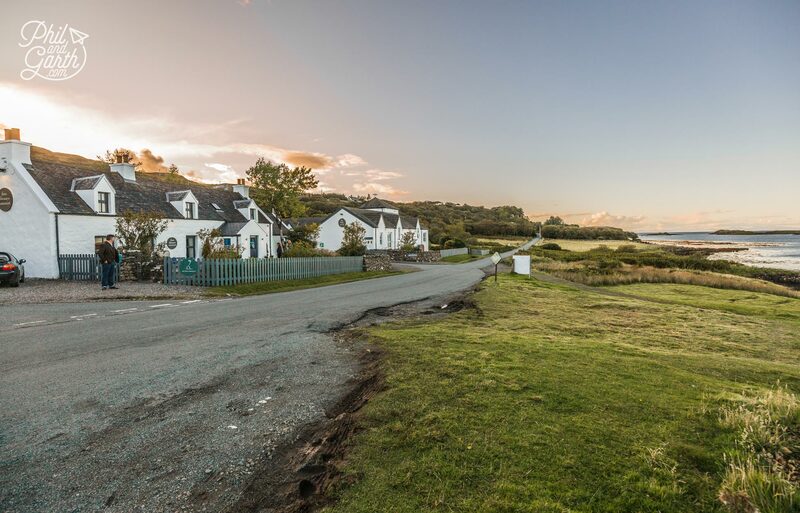 The award winning Three Chimneys restaurant is just charming located in a 100 year old cottage on the shore of Loch Dunvegan it’s pretty and very romantic. The view from our window table was great as we watched seals pop up in the Loch as we ate, just brilliant! So what about the food? 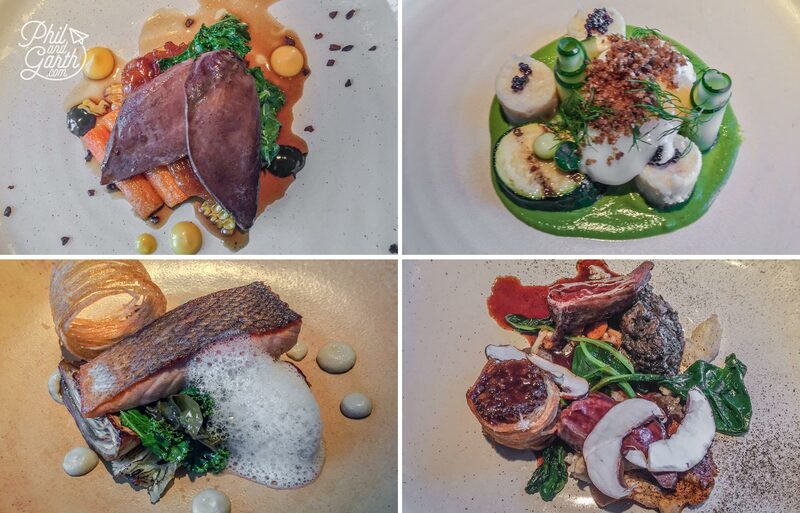 We had their 3 course dinner menu at £68 per person. Started with their home made gin as an aperitif and bread was served with seaweed and caramelised butters. 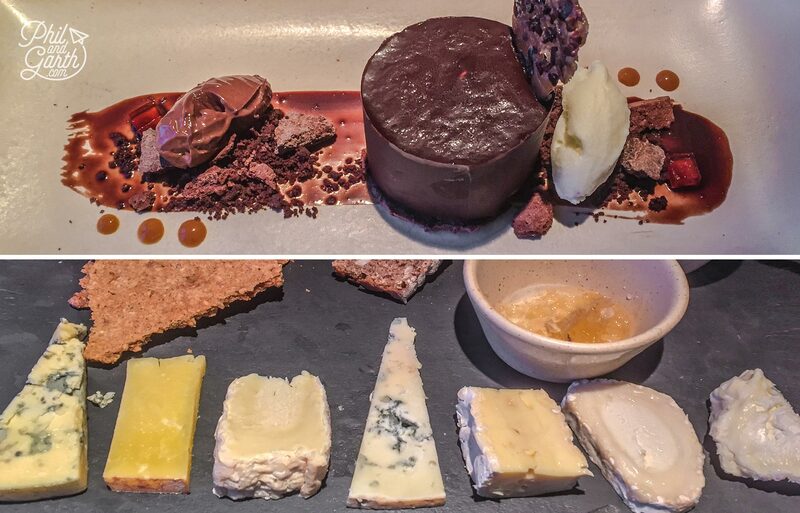 Phil had the 62ºC Duck Egg followed by Skye Venison and the British Cheese board to finish. Garth started with Woodland Pigeon followed by Roasted Salmon with lemongrass and Huila Chocolate to finish. The waiter brought us a surprise from the kitchen – a velouté soup and later some chocolate truffles. Yes it was expensive but treat yourself! this is a classy place. Other people we noticed were ordering the tasting menu at £90. We had to book months ahead because of it’s high quality reputation. Dinosaur print – The 3 toed footprint is visible at Staffin Beach in low tide. 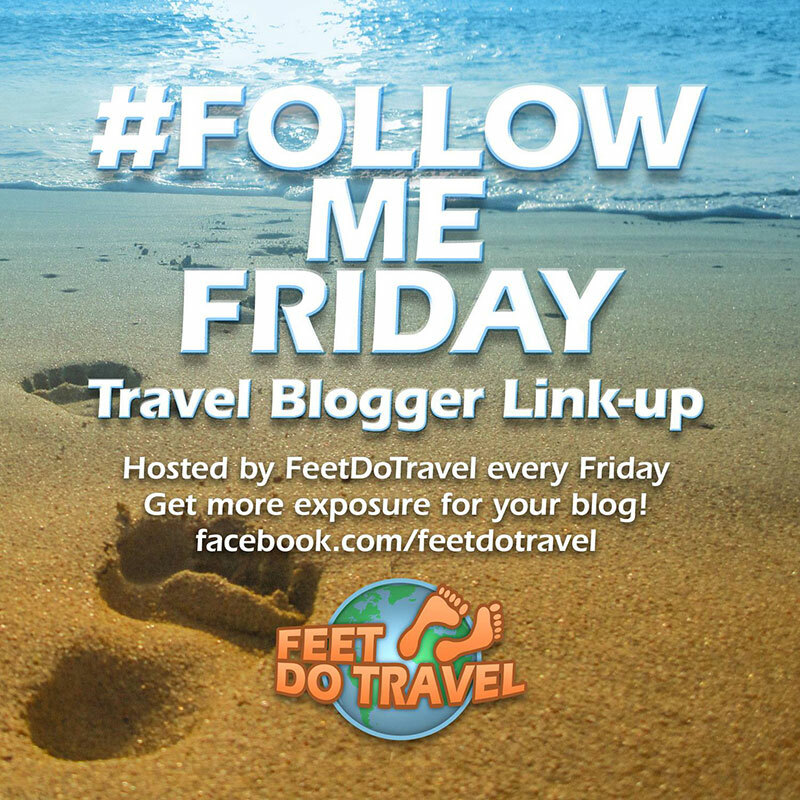 Wildlife Boat trip – Go out to sea to spot Sea Eagles. Dunvegan Castle – For over 800 years it remains home to the Clan MacLeod. 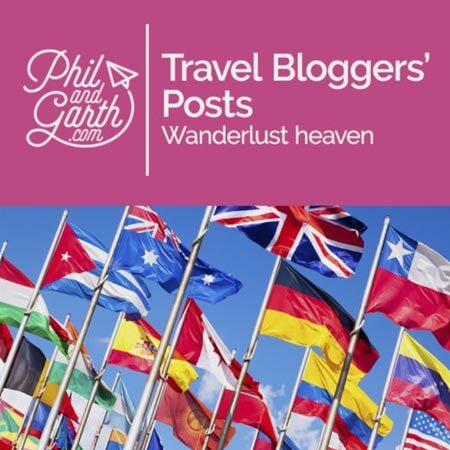 Coral Beach – Not made of coral, but it has white sand and turquoise waters. Already planning our next Scottish Trip! 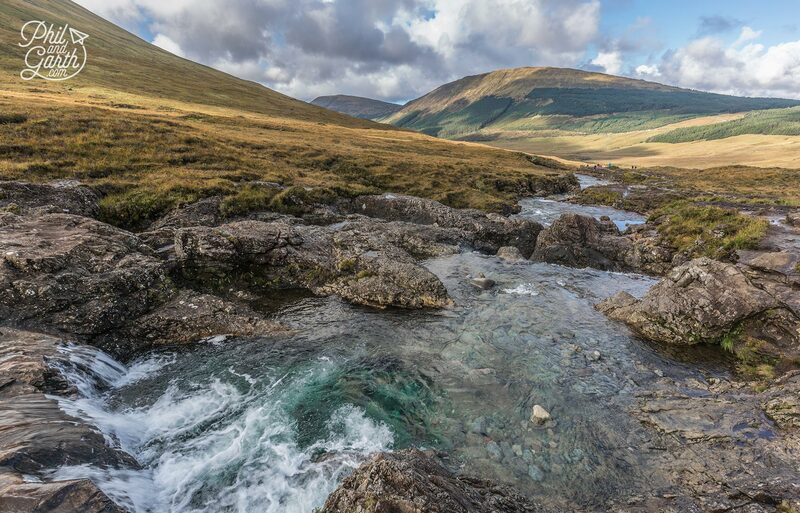 Our Isle of Skye road trip was amazing, as was the Highlands of Scotland – just incredible beauty, we had moments that took our breath away. Isn’t it amazing what’s on your doorstep?! 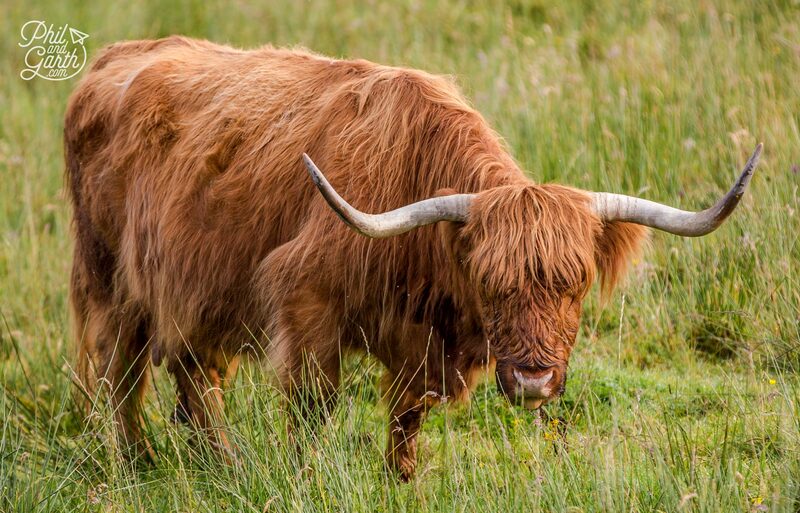 we’re definitely going to return and explore other Scottish Isles like Jura, Lewis, Harris, Shetlands and the Orkneys. Tip #1: Take a hat to stop midges biting your head! and a strong insect repellent. Tip #2: Be prepared for unpredictable weather – take layers and waterproof clothing. Tip #3: Keep your eyes on the road! It’s easy to be distracted by all the scenery. 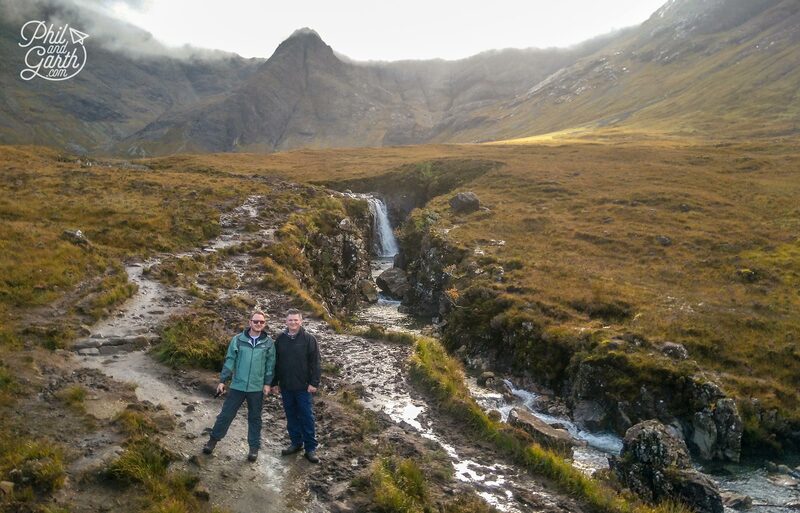 Tip #4: You’ll do a lot of walking on Skye, so wear decent hiking boots. 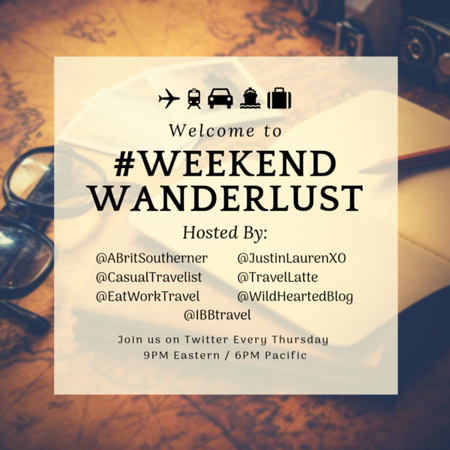 Tip #5: Plan ahead and book ahead – B&Bs get booked up quickly! 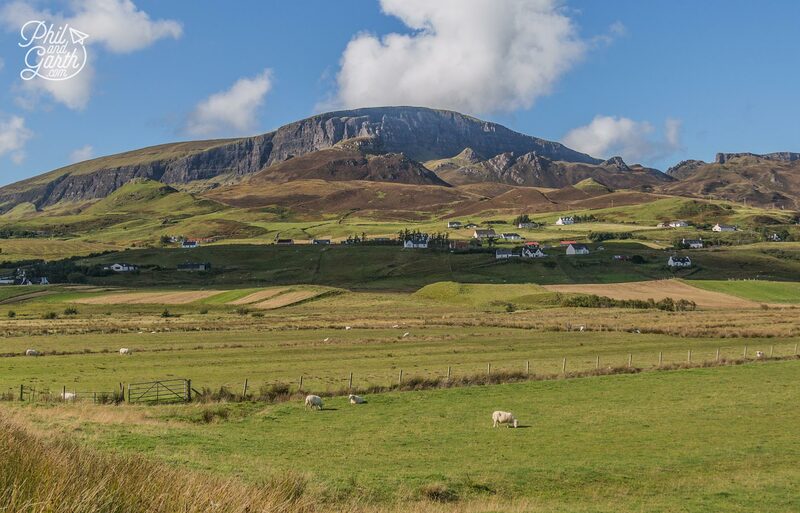 Skye is a really popular destination. Your photos are fabulous. 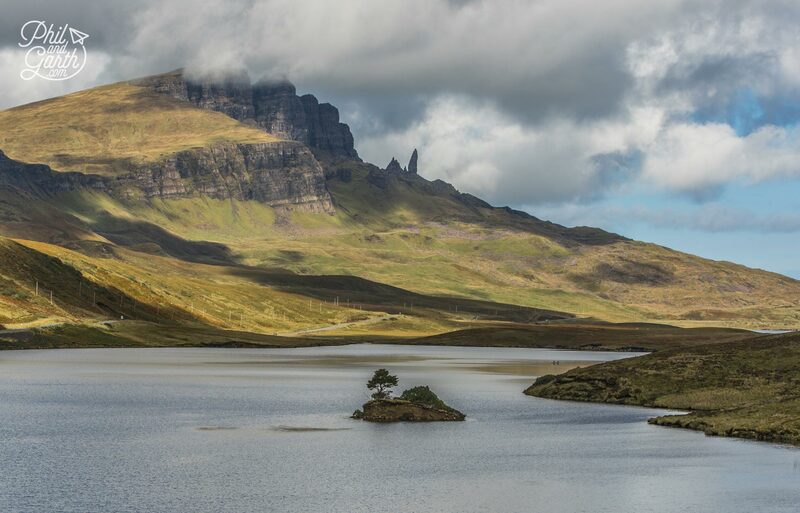 I could spend a year on Skye and not get photos half as good as yours. 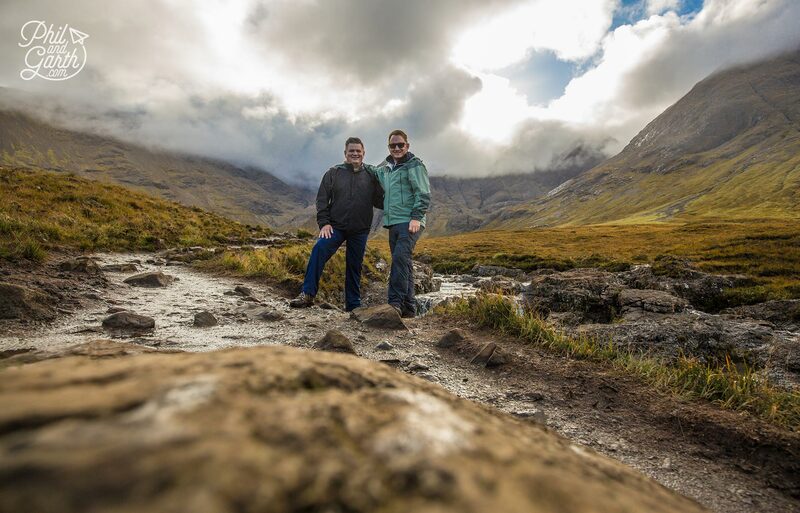 Hubby and I have been toying with the idea of visiting Skye in 2020. We live in Australia so it is quite a way to go. We had just about decided to give it the miss but now I have seen your photos and been reminded how beautiful the island is it is going back on the agenda.